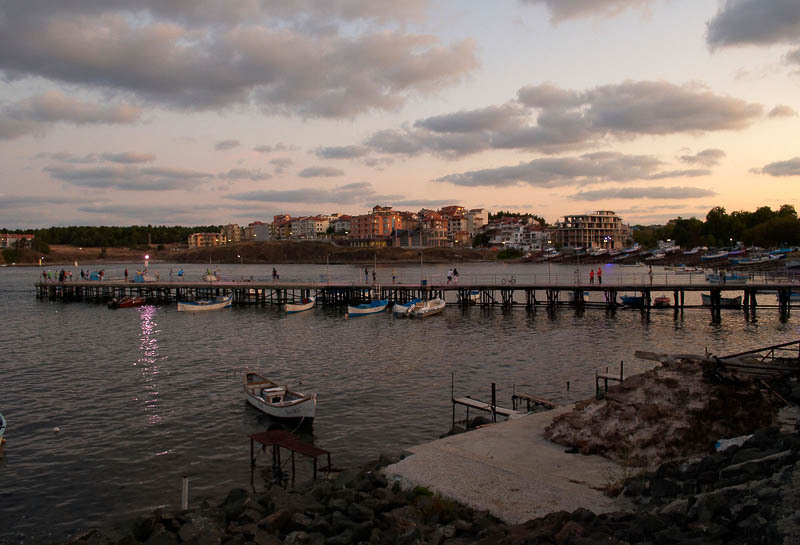 Scenery of port with little fishing boats and people on quay in calm sea water looking at sunset over house and hotel buildings on shore. Seascape with town and pier of little bay and beautiful sunset on sky. Seaside town for summer vacation, holiday and rest with wharf in little gulf.